PokerStars is the market leader and has been for some time thanks in part to their excellent customer service team, their superb software, the excellent VIP scheme and the fact they listen to and adapt to their customer’s needs. PokerStars first entered the online poker world back in 2001 and since then it has dealt more hands and ran more tournaments than any other online poker site. Over the years PokerStars has been at the forefront of innovation, creating the biggest weekly online poker tournament, the richest online poker festival in the world and launching fantastic mobile apps for Android and iOS. 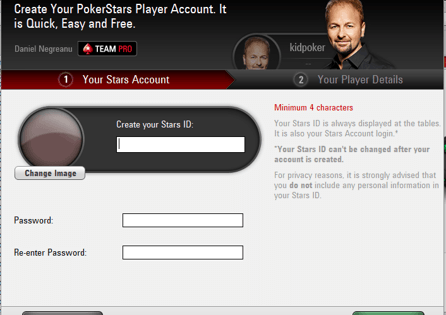 The PokerStars Mobile App is one of the best, if not the best, mobile poker apps around today. Available for iPhone, iPad, iPod Touch and Android powered devices, the PokerStars Mobile app has industry-leading features to make you feel like you are playing on the downloadable desktop version of the world’s biggest online poker site. PokerStars is the largest and busiest online poker room in the world and often has in excess of 200,000 players logged in simultaneously. The slick PokerStars software is regarded by many as being the best in the business, and the same is often said about PokerStars' customer support team. PokerStars offers an unrivalled game selection, the biggest and richest online poker tournaments, an excellent customer service and is generally considered to be the safest and most financially secure online poker site in the world. PokerStars has been in business since 2001, making it one of the longest-running online poker sites in the world. Since its creation, PokerStars has grown exponentially and is now by far the market-leader in the online poker industry. 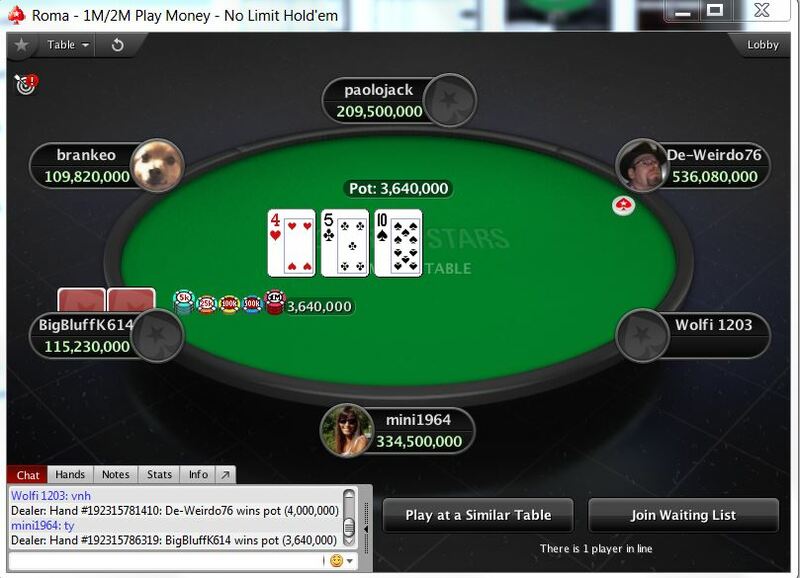 In addition to the busiest and widest variety of cash games, PokerStars is the home to the biggest weekly online poker tournament – the Sunday Million – and hosts massive online festivals such as the Spring Championship Of Online Poker (SCOOP), MicroMillions, Turbo Series and the daddy of them all, the World Championship Of Online Poker (WCOOP). After the collapse of the old Full Tilt Poker, PokerStars stepped in and acquired Full Tilt Poker’s assets for $731 million, which allowed Full Tilt Poker’s customers to be repaid. This happened in June 2012 and two years later, in 2014, Amaya Gaming acquired both PokerStars and Full Tilt Poker in a $4.9 billion deal. As mentioned previously, PokerStars is the home to the WCOOP, SCOOP, TCOOP, MicroMillions and weekly tournaments such as the Sunday Million. You can also qualify for major live events with PokerStars including the European Poker Tour (EPT), PokerStars Caribbean Adventure (PCA) and many more. 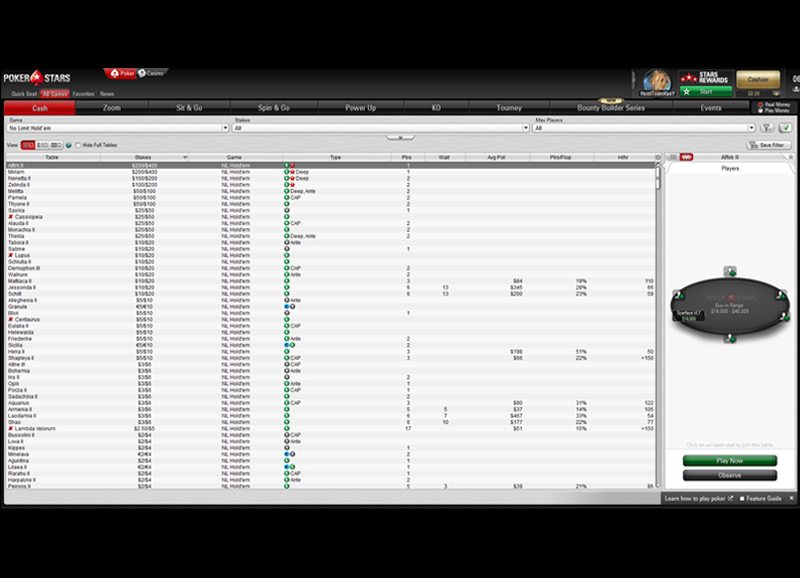 Zoom Poker is PokerStars' offering to the "fast-fold" craze: an exciting and exhilarating way to play online poker. The rules are the same as those of a standard poker game, but you can be dealt up to 300 hands per hour on each table you sit at! How is this possible? Easy, because instead of being seated at a single table with the same opponents and stay at the same table until you leave (like it would happen in a "normal" game) you are entered into a pool of players. You can even fold before the action gets to you, so if you are dealt on the button and don’t want to play this trash hand, simply click the "Fast Fold" button and you will be moved to a new table and dealt another hand immediately! PokerStars launched 6+ Hold'em, also known as Short Deck Hold'em, on Jan. 16, 2019. The game's popularity has exploded in the live poker scene over the past few years, with it being the game of choice for high stakes players. The game plays like a traditional Hold'em cash game except all deuces through fives are removed from the deck, leaving only 36 cards in the deck. Aces can be high or low, acting as a five when used to make a straight, so the lowest possible straight is A-6-7-8-9. Also, three-of-a-kind beats a straight, and a flush beats a full house! It's crazy but it's fun! Home Games is perfect for those of you who want to play against your friends and only your friends, but never seem to be able to get together in person. That and for members of poker clubs and forums who want to battle it out at the virtual felt against their own members without having to find a public table. As you would expect from the world’s biggest online poker site, PokerStars is often a trend-setter when it comes to new and innovative features. The latest version of the PokerStars software makes it easy for you to jump straight into a game in only a few clicks of your mouse and has a plethora of settings to make your time at the PokerStars tables be enjoyable. 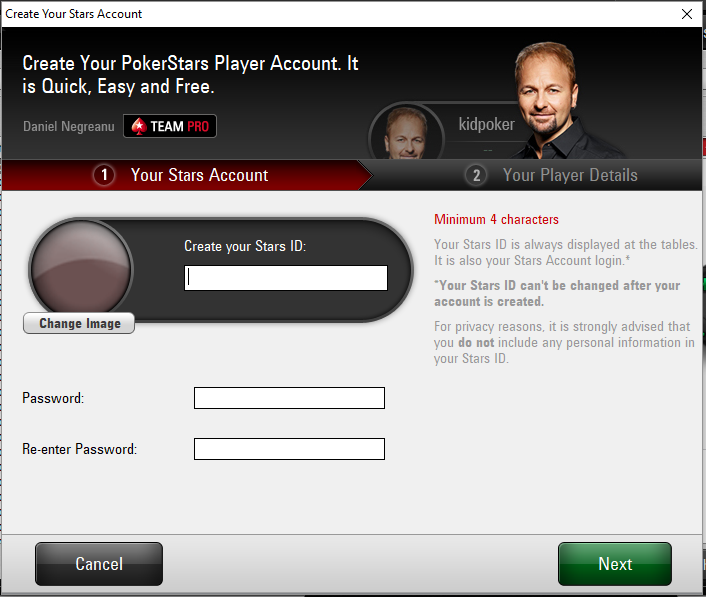 Some PokerStars features include auto-top up of your stack in cash games, preferred seating options, slick-and-easy inbuilt note taking software, various table themes to enjoy, a full customisable lobby and award winning customer support.